Biohacking: Grindfest 2018 « Adafruit Industries – Makers, hackers, artists, designers and engineers! 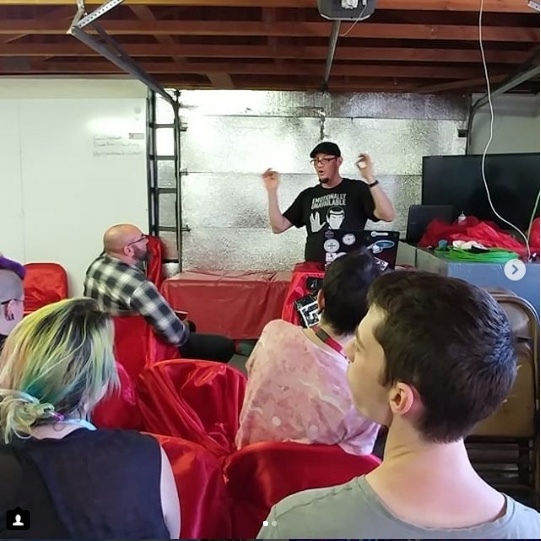 The Fifth annual biohacker meetup known as “Grindfest” took place in Tehachapi, CA earlier this month. In this case we are not talking about skateboarders, thrash metal bands or ultrarunners cranking out big miles. The term “grinder” was taken from a Doktor Sleepless comic book that featured characters that that had modified their bodies to incorporate computers. These Grinders are body hackers working on our transhumanist future. The attendees are focused on the merger of man and machine. 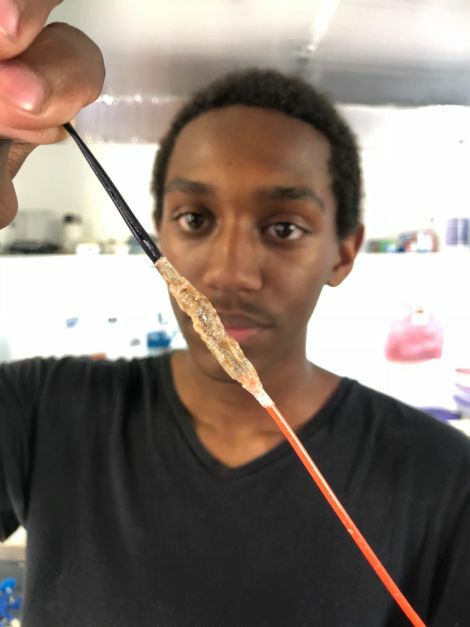 This years highlights include a 16 year attendee Louis Anders Jr. who has been developing a biomedical coating for EL wire implants. Louis has tested this on several mice at his high school. 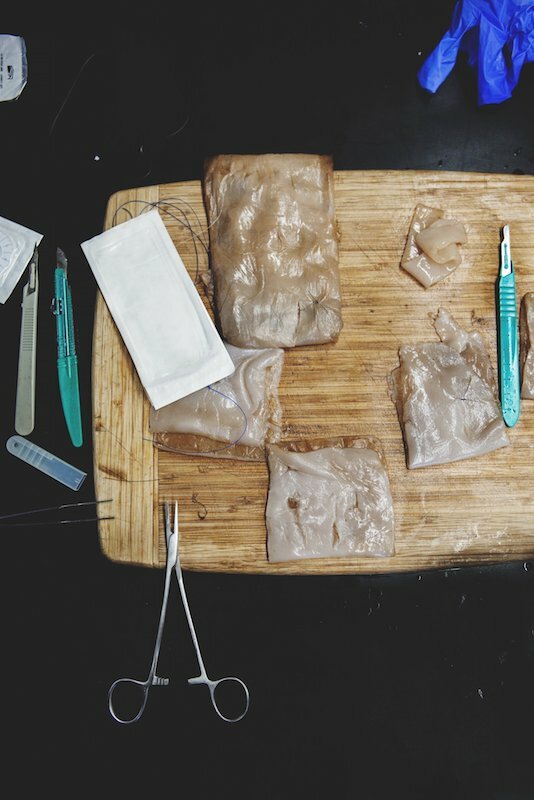 Suture practice with Kombucha mothers (chicken breasts, peaches, green bananas and grapes can also be used). Several talks were given including ones on minimizing health risks. Implant options are slowly becoming more available. 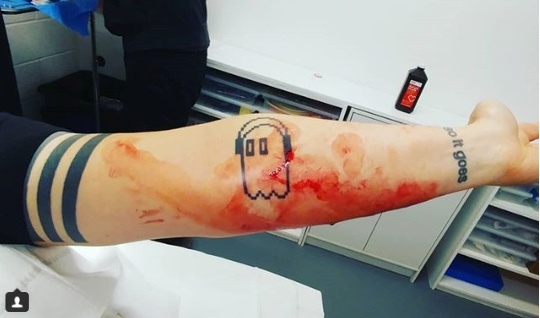 Following forums such as biohack.me can keep one up to date on the latest magnetic, RFID / NFC, glow in the dark implants and internal temperature sensors. While functionality is still limited to specific types of door locks, vehicles and payment systems more is on the way. Cyberise.Me and DangerousThings are the two sites to watch for new implantable hardware. Biohack.Me has a Wiki which can be quite helpful for finding a body modder to assist with implants as well as what it takes to become a modder. Both Gizmodo and The New York Times have provided detailed write-ups of this years Grindfest. The attendance has grown to nearly 50 people and is reaching the capacity limits of the hosts home.